Wedge Belts have been the result of continuous thrust by the manufacturers and the users. Suitable for all industrial applications, particularly where small or sub-minimal sheave diameters are required. Most widely used on high speed and high torque drives on light, heavy industrial and automotive machines. Timing belts make less noise compare to chain belts and gear belts and has high transmission capacity and efficiency. Polydrive - Jigna Sales Corporation ( ISO Certified ) is one of leading industrial belt manufacturers and distributors of V belts, Conveyor belts, Cogged belts, Link belts, Banded belts in Mumbai, India. Polydrive has emerged with latest machinery and technology to produce quality rubber belts, flat belts, v-belt, rubber industrial belts and to fulfill the national and international standards. The main motto is to make improvement in the quality consistently and to ensure versatile service for our precious clients. 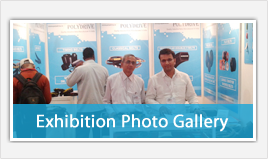 Polydrive is a company which stands out for development of the business, industry and the customers at local, national and international markets and has achieved great heights. Our professionals and experts take care of the production activities and worker’s skill development to ensure maximized production with best utilization of resources. We export our industrial belts worldwide. To become the number one V belt manufacturer, dealer, supllier and exporter of quality industrial Vee belts globally. To have a long lasting relationship with clients. We deliver only high quality and highly durable products. Our main motto is to satisfy our clients and fulfill their requirement. To become the number one manufacturer and exporter of quality industrial belts globally. To have a long lasting relationship with clients.